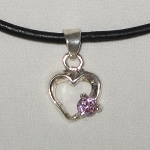 The Rose Quartz Heart Necklace includes a Rose Quartz Heart pendant with sterling silver bail on red cord. The Rose Quartz Heart charm is 35 mm (1 1/2 inch) and hangs from a red cord for complete relationship protection, enhanced energy and good luck (knotted in back). The material and shape of this beautiful and large Rose Quartz Heart shaped pendant work together to increase your romance energy. Rose Quartz helps you improve all of your relationships, especially romantic relationships. 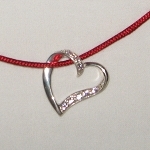 It attracts love and brings calm energy to existing relationships. Rose Quartz will help you feel better about yourself, therefore you will feel worthy of being loved by others. 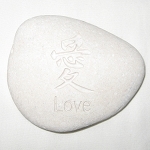 Rose Quartz shaped like a heart is doubly powerful for improving your Love Energy. Rose Quartz also improves fertility. 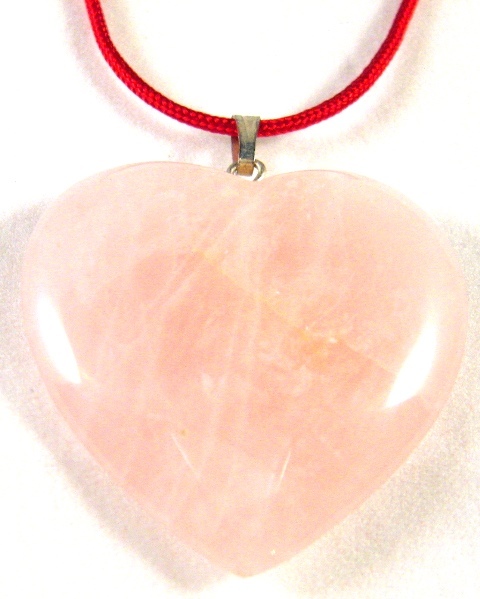 The Rose Quartz Heart pendant has been energetically cleansed and programmed to amplify the powerful energy and Feng Shui properties of the crystal. Exclusive to Zen Appeal!